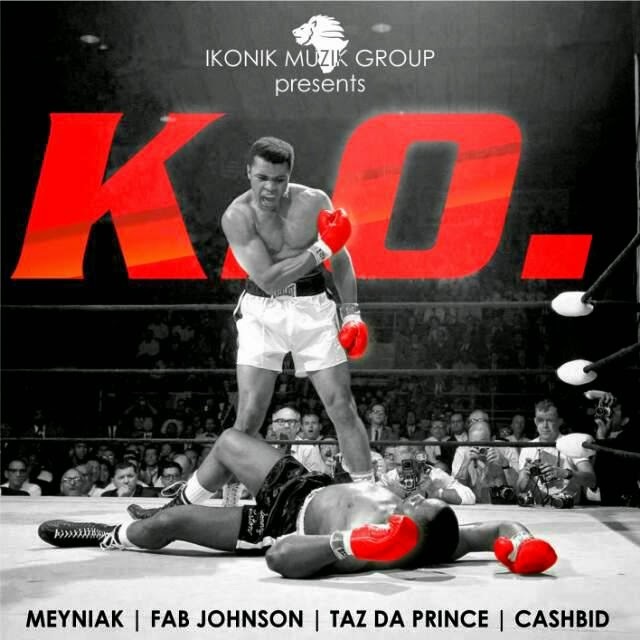 K.O (an acronym for Knock Out) is a track about knocking out any form of competition, hence why Ali is on the cover, for extra emphasis. DJ Krimz Beatz finally reveals his voice on this one, doing an intro reminiscent of DJ Khaled (minus the volume lol). Meyniak jumps in with a killer hook (no pun intended) ushering us into the first round. Fab Johnson holds down the fort for the first round, giving a slightly laid back flow, which left me indecisive on how to feel about his verse. Taz Da Prince swoops into the second round, with a verse that stood out out to me as the best verse here, almost neck-to-neck with Cashbid's closing verse.